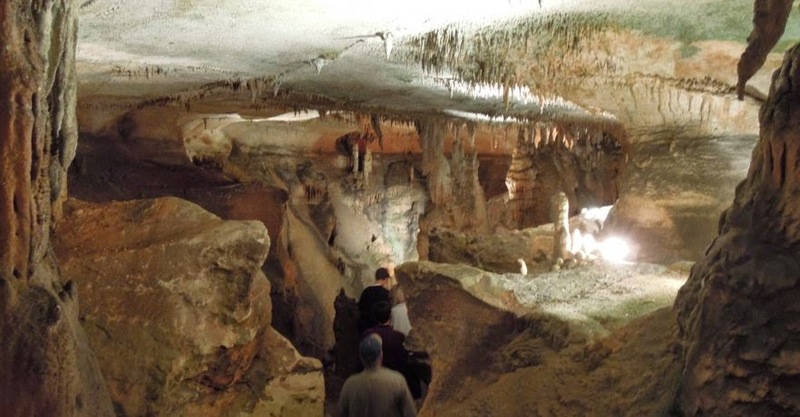 Funds will need to be sent via paypal to me by May 1st deadline, so that I can give Rickwood Caverns the final count. After this point, tickets would be non-refundable, because the rate depends on the # committed to attending. Thanks for understanding on that. As you may have seen, Rickwood Caverns is one of the parks on the chopping block if the budget deal is not reached. So there is the possibility that it could be closed as early May 15th indefinitely. If you are interested in going, now would be the time!!! Pertinent information, the caverns tour is 1 mile long, with approximately 350 stairs, for this reason it is not wheelchair or stroller accessible. The caverns remain a steady 60 degree year-round temperature. There is a gift shop with limited drink & snack options , due to decreased ordering because of budget concerns. There is also "Gem mining" for $6.36 per bag, tax-included. Your fee for this field trip includes the required park fee, so you are free to remain afterwards & enjoy the park until closing time (sundown), including picnic area, playground & hiking trails. The pool does not open until Memorial Day each year.